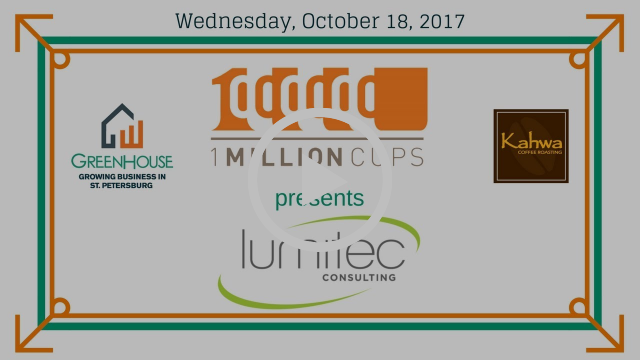 This week at 1 Million Cups, Guillermo Abadia Piccone, President of Lumitec Consulting Inc., came to tell us about their newest product under development, iBuster. 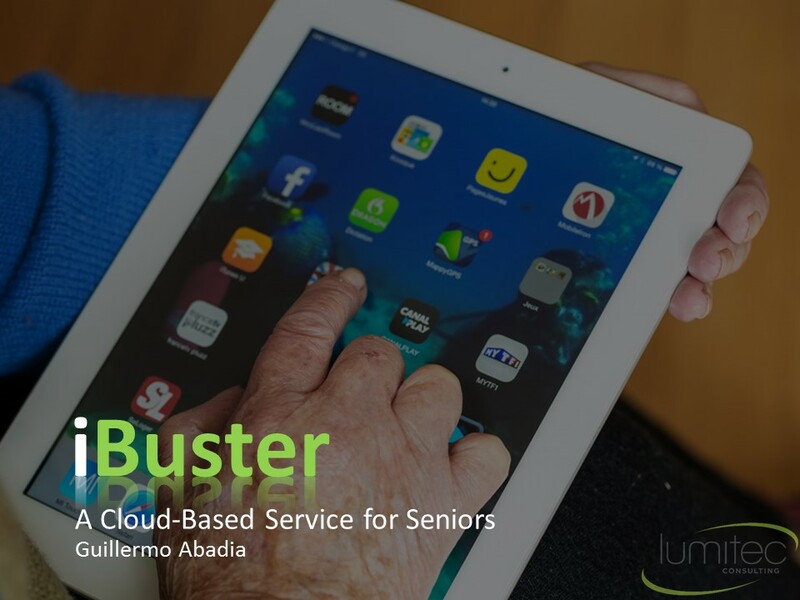 The iBuster is a “cloud-based service for seniors” that is intended to “make it easier and safer for seniors to use technology to combat social isolation,” Guillermo said. 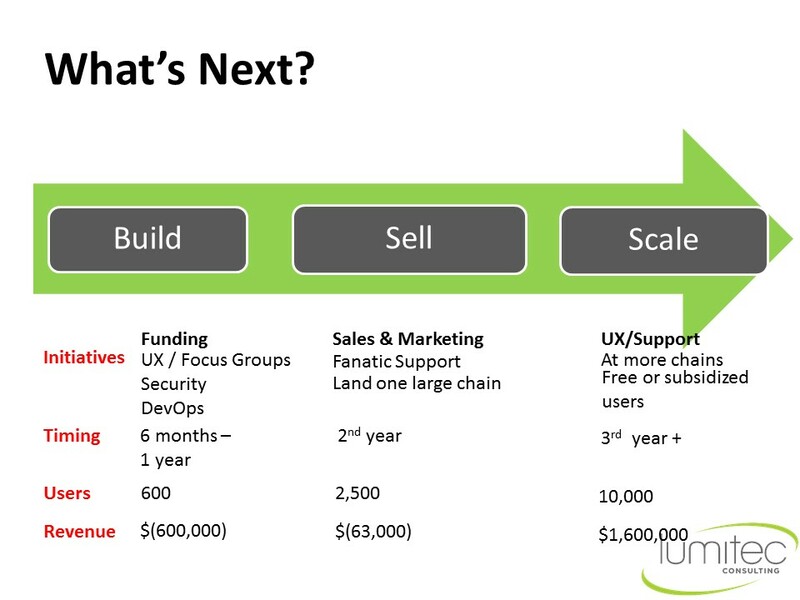 The product is currently still in the concept phase of development. “We all use technology in different ways though,” Guillermo noted. Some are more tech-savvy than others, and for individuals who are less comfortable with tech solutions, these options can be the source of frustration and peril. “We decided that if we wanted to tackle these issues, we also needed to tackle security and privacy,” he said. 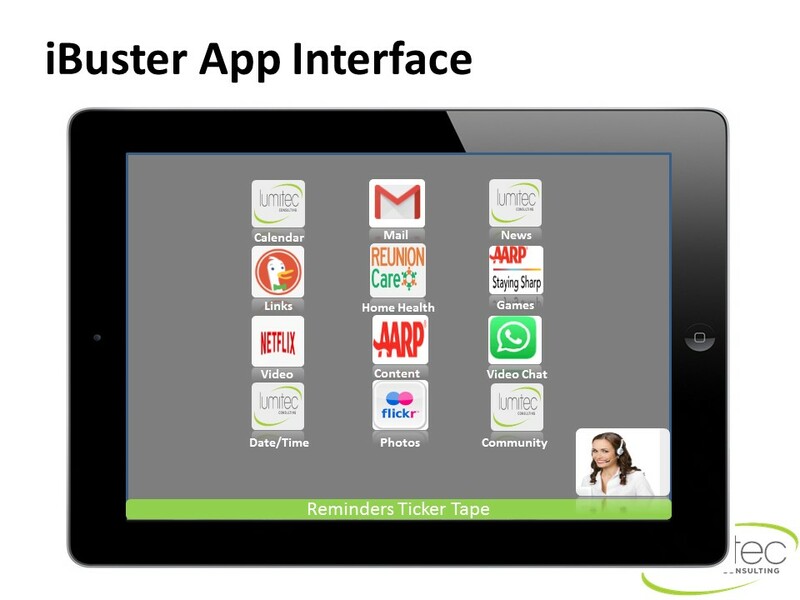 Targeted to the families of seniors as well as seniors themselves, iBuster is a cloud-based service that integrates robust security and privacy practices with an easy-to-use, senior-friendly interface to allow access to popular third-party apps alongside proprietary applications. “It’s an environment that allows you to run third-party applications – like YouTube, Facebook, and so forth. What we want to do is allow seniors to be able to interact with others and interact with the internet,” Guillermo explained. 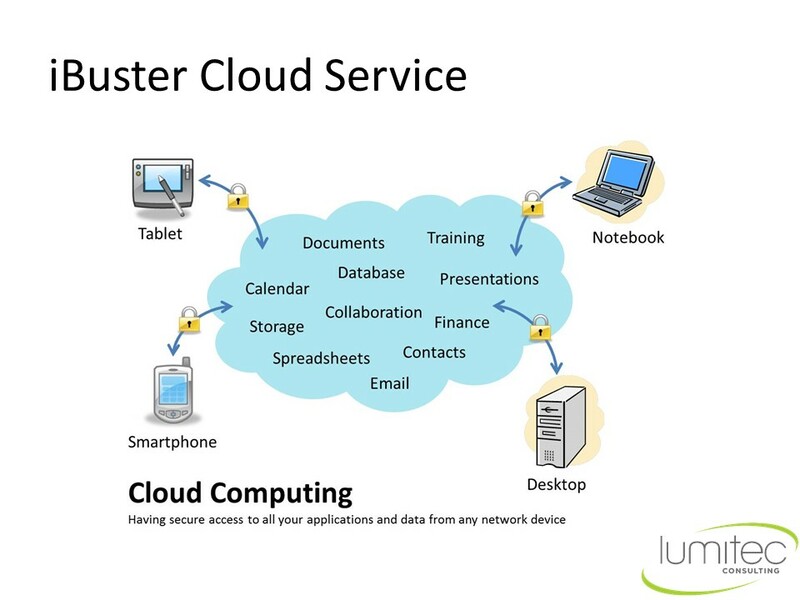 An additional feature of the iBuster product is an education and assistance component. “Our senior official connection – the person that is helping them use this service – will be available via chat application and will actually interact with and help them,” Guillermo said. “This person can be a team member or it could be a family member.” The goal is to make sure seniors have the resources needed to be able to use and enjoy technology. 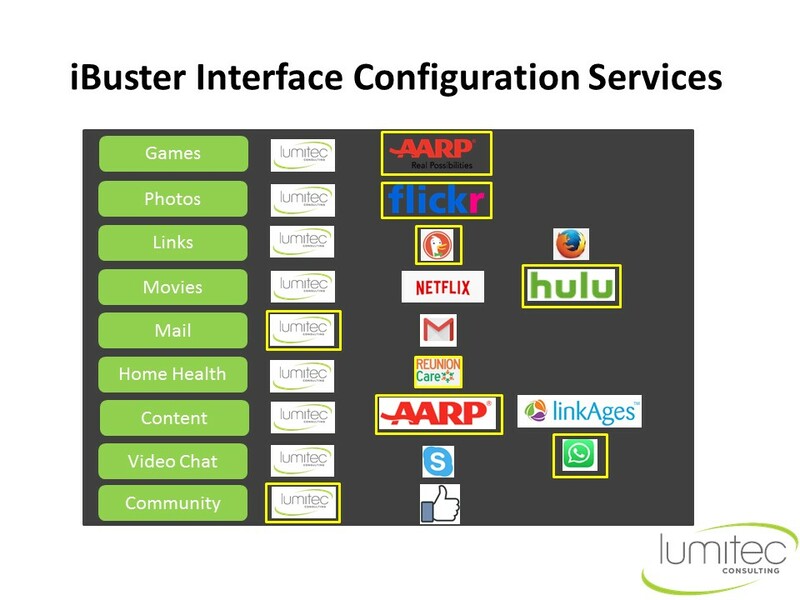 Compared to other platforms, iBuster takes a middle-ground approach. Using a diagram, Guillermo explained that “on the left, there are the third party apps we like and use. You like them because they’re free. You don’t like them because their security and privacy models aren’t great. 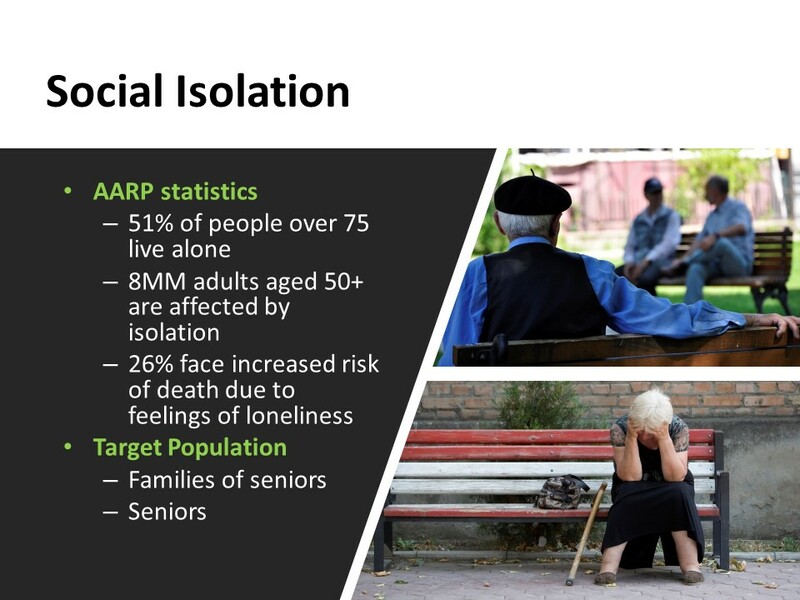 On the right, there are a set of solutions for seniors. I don’t like them because they require a proprietary contract that makes them expensive. I like them because they have a very senior-friendly interface and are very secure and private. 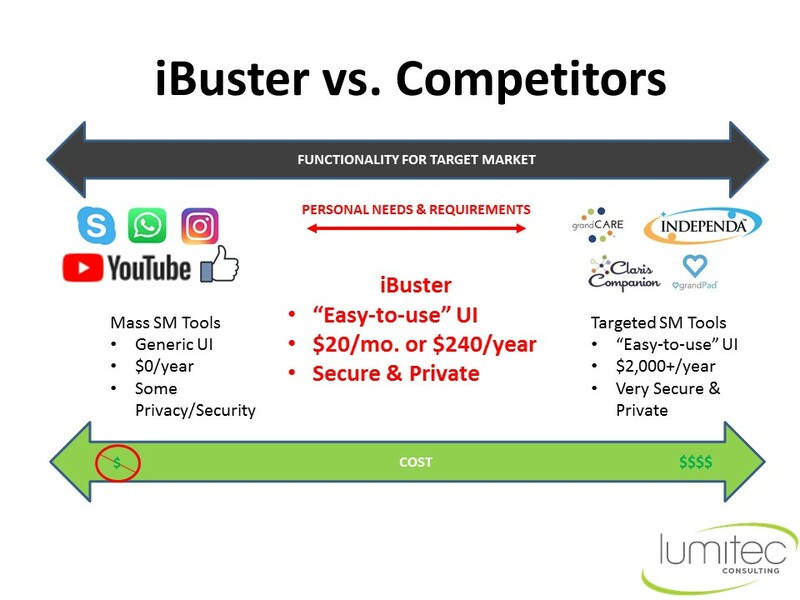 They accomplish this by using proprietary apps and not allowing you to use third-party apps.” The iBuster service will be in between these two extremes. “It will be easy to use. It will not be free, but it will be cheap. And it will definitely be secure,” Guillermo said. Guillermo recently graduated from the Caregiver Accelerator and is now in the “starting phase” of development. 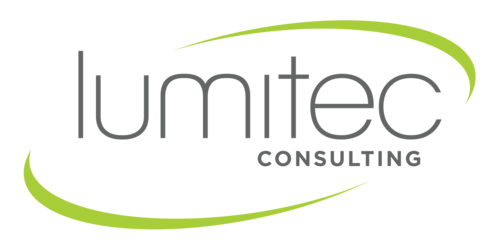 Lumitec Consulting plans to develop the user interface and build out the product in the next 6 months to a year. “We have a very good team in place,” he said. Once iBuster is built, Guillermo plans to push sales and marketing to generate revenue. After that, he hopes to be able to offer the product for free or subsidize its cost for users. “We want to keep all the criminals away from your loved ones,” he said. 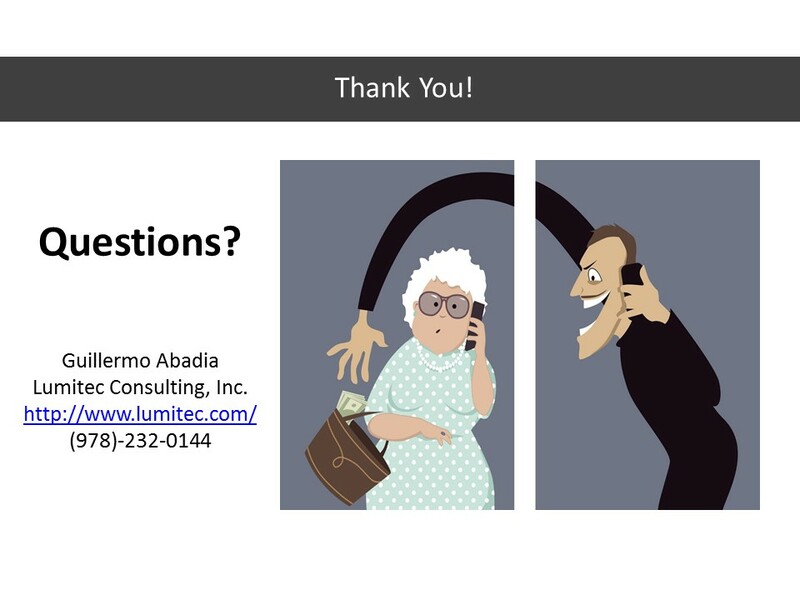 If you would like to get in touch with Guillermo, he can be reached at (978) 232-0144 or guillermo.abadia@lumitec.com. You can find Lumitec Consulting Inc. at The Innovation Lap @Poynter, 801 3rd St. S., St. Petersburg, FL 33701.